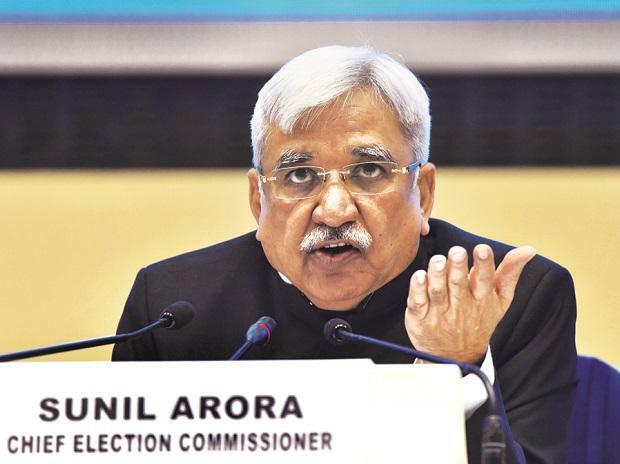 Chief Election Commissioner Sunil Arora Tuesday said that even a trace of proven malafide or partisanship on the part of state chief electoral officers and election observers during the Lok Sabha polls would lead to "ruthless action" against them. Certain cases of malafide were reported last year during elections to five states. Arora said the commission reposes complete trust in the senior officers being deputed to the field and would like them be the first and last point of contact. "However, he also cautioned them that even a trace of proven malafide or partisanship, would lead to ruthless action from the commission," read a statement issued by the EC after a day-long meeting with a thousand officers drawn from IAS, IPS, Indian Revenue Service who are being deployed as observers in the Lok Sabha and assembly polls. Addressing the gathering, Election Commissioner Sushil Chandra said developing real-time intelligence and monitoring the candidates' accounts is crucial to cut down the influence of illegitimate resources adversely affecting the election process. Fellow observer Ashok Lavasa urged the observers to get familiarised with all the instructions and guidelines to ensure clarity in execution in the field.